Female captain of Imperial Romulan warbird, Khazara. 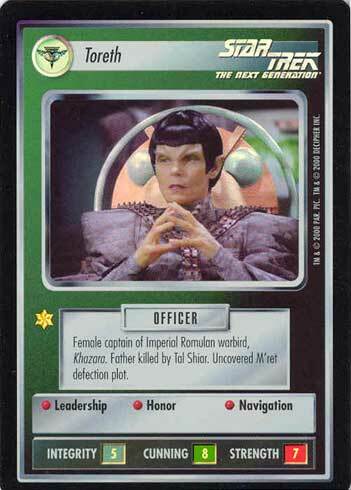 Father killed by Tal Shiar. Uncovered M'ret defection plot.